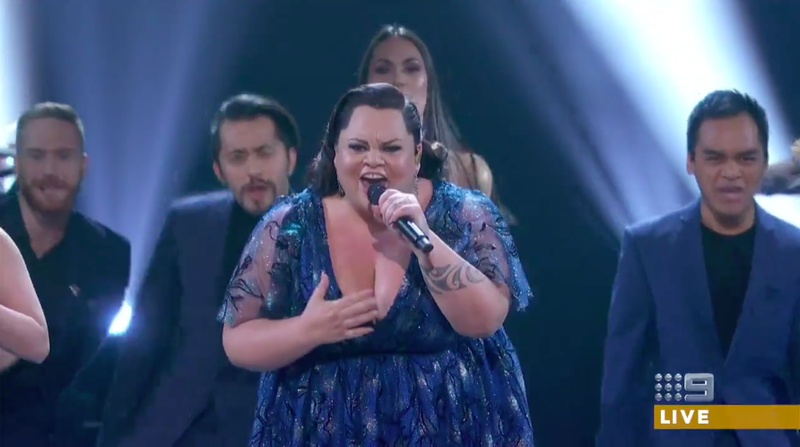 WATCH: Keala Settle Performs "This Is Me" at the Oscars! WATCH: Keala Settle Performs “This Is Me” at the Oscars! Keala Settle delivered a rousing performance of Best Original Song nominee ‘This Is Me’ from The Greatest Showman at the 90th Academy Awards earlier. Settle, known for her roles on Les Miserables and Waitress on Broadway, plays bearded lady Lettie Lutz in the movie which stars Hugh Jackman. Accompanied on stage by a company of singers and the movie’s Executive Music Producer Alex Lacamoire (Hamilton) on keyboards, Settle had the crowd of A-listers in the audience singing and clapping along. Settle almost broke down in tears towards the end of the song, and afterwards the crowd responded with a standing ovation. ‘This Is Me’ songwriters and nominees Benj Pasek and Justin Paul won the Best Original Song Oscar last year for ‘City of Stars’ from La La Land. This year, the husband and wife songwriting team of Kristen Anderson-Lopez and Robert Lopez took home the award for their song ‘Remember Me” from the animated film Coco. Previous WATCH: Mary Poppins Returns First Trailer Released!